Olympic class racing returns to the UK with the Volvo 49er, 49erFX and Nacra 17 European Championships at the Weymouth and Portland National Sailing Academy this May. This will be the first European Championships to be held in the UK for the three Olympic classes for 13 years. The 49er Europeans have taken place in the UK on only two previous occasions, the inagural 49er European Championship in 1997 and the 2006 Championship, both at Weymouth. The later developed 49erFX and Nacra 17 classes have never held a European or World Championship in the UK, although they have taken part in World Cup events at Weymouth, the last in 2016. The regatta will be one of the few opportunities to see top competitors from around the world competing on British waters before the Tokyo 2020 Olympic Games. The event comes at a crucial time of the Olympic cycle, with a number of nations, including the British, using it as a selection event ahead of the final sailing test regatta at Enoshima, Japan, in mid August 2019. The roll-call of International names will be long and deep for such an important event, and British Sailing Team members will be out in force, hoping to take advantage of home waters. GBR teams to lookout for include: Dobson and Tidey, and Weguelin and Ainsworth (49erFX), Saxton and Boniface, Gimson and Burnet, and Rashley and Marmion (Nacra17), and Fletcher and Bithell, and Peters and Sterritt (49er). Over 60 International teams are entered for the 49er, 40 for the 49erFX and 37 for the Nacra 17, making this one of the most important sailing championships held in the UK since the 2012 Olympics. The final four days of the regatta will be broadcast live online and include the all-important medal races to decide the Europen Champions in each class. 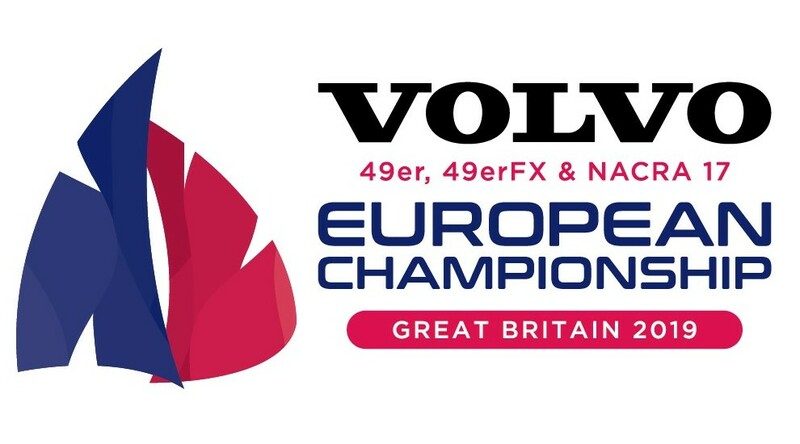 Volvo Car UK is on board for the regatta run by the RYA and part-funded by the National Lottery, which will sail under the Volvo 49er, 49erFX and Nacra 17 European Championships banner. The event takes place from 13 to 19 May at Weymouth and Portland National Sailing Academy. A warm-up regatta for the classes will be held at WPNSA from 4 to 6 May.